The reef-lined archipelago that stretches from the Isla de Juventud ("Isle of Youth") to Cayo Largo provides year-round opportunities for tarpon in the 20-60-pound class. MY GUIDE NELSON dropped to his knees on the front of skiff and kissed the 15-pound permit like it was his newborn child. All I could think was that now Nelson might forgive me for breaking off the 20-pound permit I had hooked ten minutes before. Since my friend Randy and I had caught several nice bonefish earlier that morning, I knew our next stop would be a tarpon flat. We ran back towards the big key, Cayo Largo, not more than five miles to the east. Nelson had a spot that he and the other guides save just for occasions like this, a place where catching a tarpon to complete the slam was usually a guarantee. We pulled the flats skiff in along the mangroves and poled along a deeper edge, where the water was four to five feet deep. Suddenly here they came, swimming towards us, a half dozen baby tarpon in the 15-25-pound class. I slapped Tommy Locke’s black and red Enrico 3/0 ten feet in front of the lead fish and they all charged it. One of the smaller tarpon got to the fly first and inhaled it. I set the hook and the baby tarpon exploded into the air in a twisting back flip. Nelson was excited, yelling, “In de boat! In de boat! In de boat!” There was no question about his desires. I put the heat on the tarpon, got through a few more jumps without having it come detached, and slid it right up the the gunwale. Nelson was yelling a lot of stuff in Spanish that I didn’t understand and he grabbed me and hugged me. I looked at my watch and it was only 11:30 AM. Now Nelson said we were going looking for the snook, sounding like he knew exactly where to go. Surprisingly it was a little lagoon just off the first big channel going out of Cayo Largo, not five minutes from the boat dock. I grab my 10-weight GLX loaded with a Puglisi snook pattern and we start poling along the shallow shoreline, along which was a tangle of broken mangrove trees and roots strewn everywhere from the last hurricane. I was doing some blind casting now, throwing the fly into any good looking “hole” I could find. I shot a long cast up into a narrow slot and started stripping it back rapidly. Two big snook came roaring out looking for the fly. The fly was too far in front of them, but the snook were still screaming dead at us, ripping out of the narrow channel. I had to make a recast and get it done instantly. The smaller fish was in the lead, but the fish behind was much larger, so I threw it right by the lead fish and into the face of the larger fish. The big wide-body fish ripped into my streamer like it hadn’t eaten in a week. But there is perhaps no fish other than a big peacock bass or a mutton snapper that can run into the brush and break you off faster than a snook. This one was totally out of control: jumping, spinning, cartwheeling and then trying to dig his way back to his home in the mangroves. I was using 20-pound (10 kg) class tippet so I just snubbed up the line with my left hand and didn’t give him an inch. It seemed like that snook and I were having a battle that was taking place inside a tumble washer. Above the thrashing I heard Nelson yelling, “In de boat, in the boat!” It wasn’t long before the ecstatic Nelson had his net beneath the big snook. Rarely do you experience flats fishing like this, where there are not only bonefish and tarpon, but also permit and snook all within a short skiff ride of home. With any luck, it won’t be long until citizens of the U.S. get to enjoy what Europeans and other countries’ anglers have had to themselves for so long. Besides the friendliest of people, the best cigars in the world, and music and art that influence all of Latin America, Cuba may offer the best saltwater flats fishing in the world today. Most of the bonefish flats near Cayo Largo are bright sand, wadeable without boots (even though I recommend boots for support and protection). Over the years I’ve made several trips to Cuba to explore the superb fly fishing there and to write about places like the Jardines de la Reina, an archipelago about the size of the Florida Keys but on Cuba’s southeastern coast. On more recent trips I’ve fished the waters near the Isla de la Juventud, a big island about 150 miles to the south of Havana. The fishing out of Gerona was off the charts for big tarpon, permit, bonefish and also big snook. The operations there are managed by an Italian group, Avalon Cuban Fishing Centers, who do an excellent job with accommodations and logistics. I’d rate their guides good to excellent and the skiffs top rate — new Dolphin Super Skiffs with Yamaha 70-90-horsepower motors. 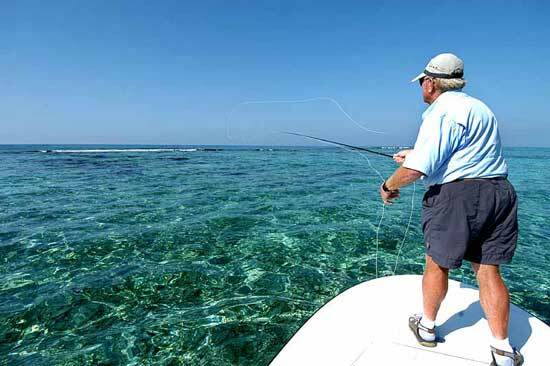 One of the things that has made the fishing so good in these Cuba destinations is the fact that the Cuban Government has had the foresight to make these archipelagos Cuban Marine National Parks. Commercial fishing, other than for lobster, is prohibited. Accommodations at the Melia Sol Cayo Largo. I first learned about Cayo Largo in Cigar Aficionadomagazine back in June 2001 when it was their cover story. They called the new Melia Hotel, the Sol Club Cayo Largo, the hottest new resort in all the Caribbean. Cayo Largo is the largest and easternmost key at the end of a chain of Islands that run seventy-five miles to the east from the southern end of the Isla de la Juventud (“Isle of Youth”). 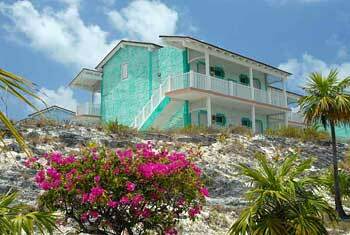 I went to Cayo Largo in 2002 to check out the fishing and to see what this new Melia resort was like. Well, the Melia Sol Cayo Largo was simply spectacular but the fishing operations at that time were well below-standard. The boats were crappy and the guides were all new. Then I realized how enthusiastic these young guides were and got a taste of what an opportunity I had stumbled upon. I was wading miles and miles of white sand flats in my bare feet, catching seven- to nine-pound bonefish with regularity. Earlier last winter Avalon took over this Cayo Largo fishery and brought in eight brand new skiffs, and they were running much farther back to the west in the island system, searching out permit, tarpon and snook. Avalon revamped the old Casa Batida fishing club, making it much more comfortable. The best news was that several of the older guides were still there, but far, far better guides now than they were in 2002. (The first clue to all the changes were the guides’ 21-foot graphite Stiffy push poles.) I was itching to go back. When I arrived I was simply amazed by the accommodations at the Melia Sol Cayo Largo. This is four star, all-inclusive resort with 296 rooms that has catered mostly to Europeans, Canadians and tourists from Central America and South America. Both our accommodations in 8-plex bungalows and the cuisine were spectacular. And since it is an all-inclusive resort, there are no extra charges for any of the gourmet meals or whatever you prefer to drink at any time. They were making pina coladas in five-gallon batches at the bars at the four or five bars at the Melia Sol Club, and my favorite Cuban drink, a mohito, was made to order and seemed every bit as good as the ones we have gotten in La Bodeguita del Medio in Havana. There were many choices of cuisine and several different restaurants at the Melia resort, all of which were excellent. There are also lots of daily activities for non-anglers, which include beach exercise classes, salsa classes, snorkeling, and even diving (the diving was at a very nominal charge per day). And at 10:30 every night there is a new dance show performed by a troupe of young Cuban professional dancers. Best of all, this resort is ridiculously inexpensive, making it the finest destination I’ve ever seen in the world for someone bringing a non-fishing spouse or friend along for the week. But back to the fishing. There are lots of permit in the waters surrounding Cayo Largo and they are easier to catch than permit I’ve found anywhere else. These are good-sized permit too, mostly fish in the 12-25-pound class. This is sight fishing at its best, mostly over white sand flats. The larger permit are often seen as singles, pairs of fish or perhaps three fish at a time. We saw a few large schools of 12-15-pound fish too. There are lots of tailing permit along the edges of the bonefish flats, and I found that using a larger bonefish fly like a #4 tan Squimp was deadly on both the big bones and any permit we encountered. Not a U.S. citizen and want to book a trip to Cuba right away? Contact Avalon Cuban Fishing Centers, which runs the Cayo Largo operation described in this article. There are both tarpon and snook in good numbers close to Cayo Largo, but the guides try to minimize fishing these “local” fish until they need them to complete a Grand Slam or Super Grand Slam. Since Avalon has the exclusive rights to fish the remote chain of islands running out from the southeast corner of the Isla de Juventud, they’re careful not to over-fish any of the water in either Cayo Largo or in the Perola territory. 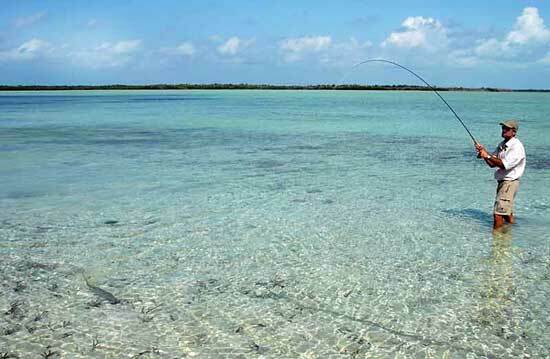 They’ve come up with a smart plan: to allow the Cayo Largo anglers to run way back west 30-40 miles, into the normal Perola territory, but only on the first and last days of the fishing week. This makes perfect sense to me. The other four middle days of your Cayo Largo week, you fish in the vast amount of flats closer to Cayo Largo and in their exclusive fishing area. Under Avalon’s agreement with the Cuban government, no other lodges or fly fishing operations can exist within this vast archipelago surrounding the main island, from islands north of the Isle of Youth, around and all the way down the east side of the Isle of Youth, and through the chain of islands that run back east for seventy-five miles to Cayo Largo. And with less than twenty flats skiffs working this whole area about the size of the Florida Keys, you rarely see another skiff all day long. Right now it is illegal for U.S. citizens to travel to Cuba without special permission, but the expectation is high in both Cuba and among tourism experts that all travel restrictions will be lifted within the next few years, if not months. Until then, I’ll be savoring memories of a remarkable fishery that with luck will provide many years of great fishing ahead.